We are literally witnessing history being made in Burma. I was in Burma last week with a small team—an award-winning photojournalist, a wonderful colleague from American Jewish World Service (AJWS)’s communications team, and our local consultant and our translator—to document the ongoing, hard-fought work of some of the advocates for women, ethnic minorities and human rights whom AJWS supports. We arrived at a watershed historical moment, just a few hours after the new Burmese parliament was called to order for the first time. Though there’s more than a whiff of hope in the air, as the new government starts its second week in office, we have learned from the women we are interviewing that Burma remains weighed down by decades of harsh military rule and that women are playing a special role in shaping Burma’s future. The new government faces challenges that would daunt any administration, even one animated by the powerful leadership of Daw Aung San Suu Kyi, whose National League for Democracy (NLD) swept the elections in November. Suu Kyi took office last week and has already released 113 political prisoners, just in time for the Burmese New Year, which the country is celebrating through April 20. During our visit I have learned a great deal from my local colleagues—both of whom are from the Kachin ethnic community—and from the women we are meeting who dream of and work for a new Burma. Here are reflections on what four of them have to say about Burma’s past and their role in shaping its future. Along with Suu Kyi and others, these women are making the history that we are witnessing. Our first encounter was with Susanna Hla Hla Soe, a newly elected member of the Burmese parliament. We visited Susanna in Naypyidaw, Burma’s capital, where two vast, grandiose parliament buildings—relics of the military regime—loom over the empty 16-lane highway that leads to them. 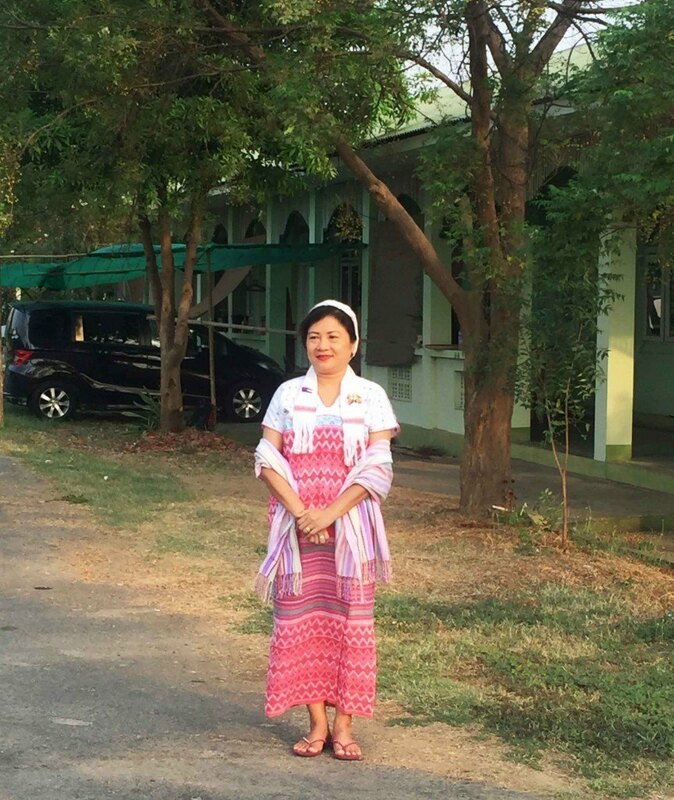 Before being elected on the NLD ticket, Susanna led Karen Women’s Empowerment Group (KWEG), an advocacy organization from Karen State. AJWS has a long history of supporting KWEG, and so Susanna welcomed us like old friends. 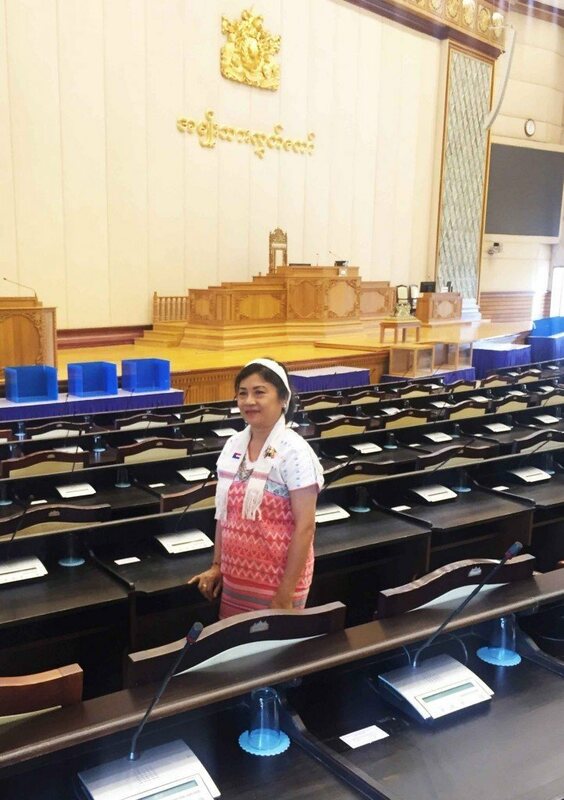 She escorted us to her designated seat in the upper house of the parliament, where she will represent Yangon division and her ethnic group, the Karen people, for the next five years. Susanna does not take her country’s new government for granted. She stressed the point that, last November’s historic election notwithstanding, democracy and civil rights are fragile in Burma, especially for ethnic groups and women. For example, Susanna said that under current law a husband who beats his wife cannot be found guilty of committing that crime. Susanna is determined to improve the statutes that punish people who commit violence against women. As we walked with Susanna, she told us, in her characteristically understated manner, about the work she and the other members of the NLD were doing to support Suu Kyi’s leadership and reduce the power of the military in government. By law, the military still holds one quarter of the seats in parliament and will do all it can to slow down the pace of change brought by the recent elections. She explained that she and the members of the Upper House had just voted to make Suu Kyi “state counselor,” which ensures Suu Kyi’s role as the leader of the government and sends a clear signal to the military that the NLD is serious about leading the government. 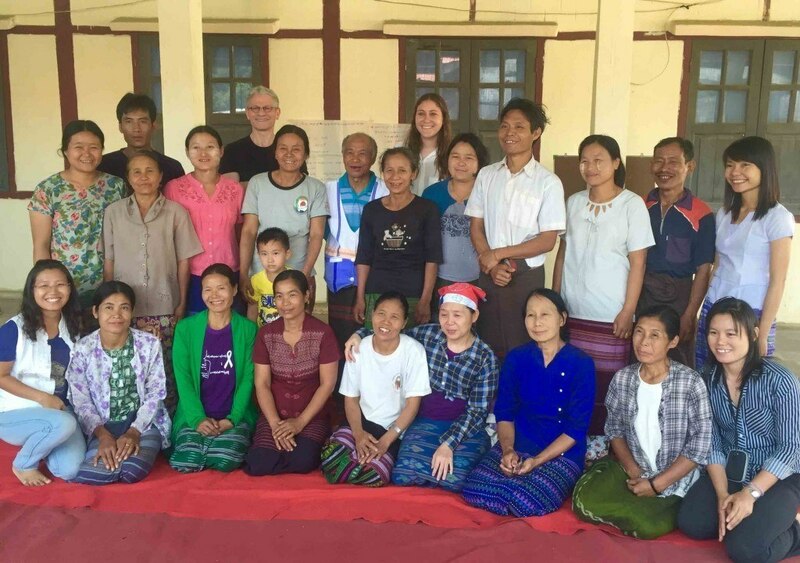 Having long advocated for women’s rights as an outsider, Susanna expressed her relief that she is now working on these issues inside Burma’s national government. Rather than pressuring legislators to act from without, she is now joining with others inside the halls of power to work for expanded democracy, women’s rights and equality for ethnic minorities. And she shared that it was her earlier leadership of KWEG that prepared her to organize effectively in parliament. 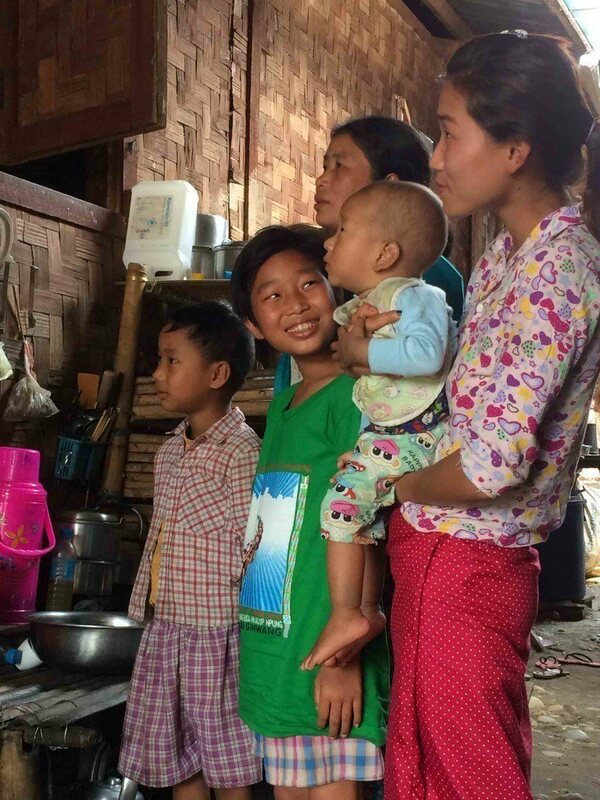 Susanna described to us the Burma that she wants to see—a country in which people of every background enjoy the same rights and live with dignity. Susanna, who is a member of the country’s small Christian minority, envisions a country in which all people—even the religious and ethnic minorities that have been brutally persecuted in the past—are able to join together to determine their future as a democratic nation. In her vision of equality for all, she includes Burma’s harshly oppressed Rohingya Muslims—hundreds of thousands of whom have been persecuted, killed and displaced from their homes in far western Burma. Since many Burmese politicians have failed to speak out for the Rohingya, Susanna’s words are a testament to the breadth and depth of her commitment to equality. She noted that the Buddhist majority’s deeply entrenched prejudice against Rohingya people will not disappear overnight. Susanna counseled patience and trust in the new government, noting that Suu Kyi will know when and how to act in order to end the state-sanctioned persecution of the Rohingya. After saying our farewells to Susanna, we traveled to the small village of Thandaunggyi, in Karen State, a region in the southeast of Burma where the Karen people speak their own language and maintain their own ethnic culture. 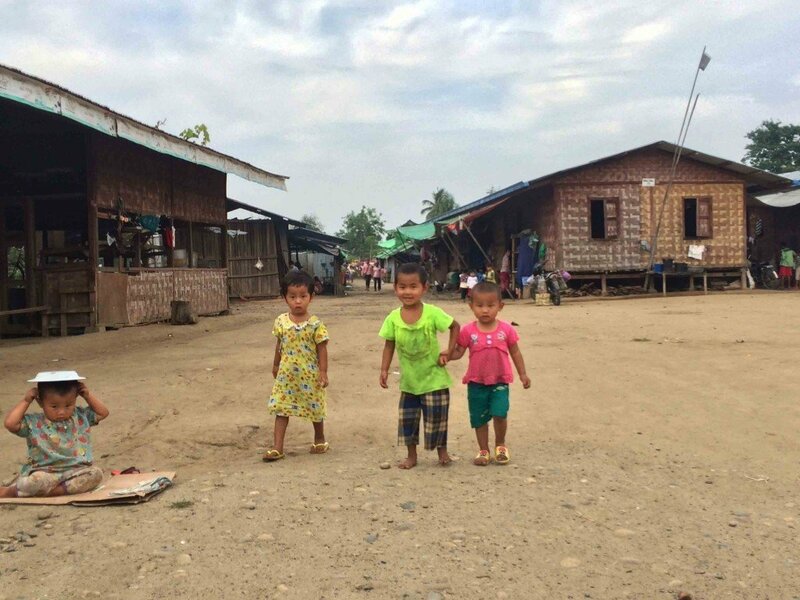 Like other ethnic minorities, the Karen have experienced violence at the hands of the military—and thousands have fled in recent decades across the border into refugee camps in Thailand to escape attacks. Today, the Karen who remain in their state find themselves in conflict with the central government, which they view as both non-responsive to their needs and hostile to their language and culture. In a semi-enclosed meeting area in this village of 28 families, we were welcomed by local women activists of KWEG, the advocacy group that Susanna led before being elected to parliament. These women are both part of Susanna’s power base and are powerful in their own right. In addition to creating change for women at the local community level, they advocate at the regional and federal levels for new laws and policies. On the morning that we met these Karen women, they were holding their monthly community banking meeting. Poring over open ledgers, they reviewed their savings and outstanding loans and their ability to either lend or borrow more. This bank—a micro-lending operation run by and for the local community—was initiated by KWEG, but now the local women run it on their own. These banking and community meetings provide an opportunity for local women and KWEG leaders to address the many different but interrelated challenges that these women face: earning a living, advancing their children’s education, protecting themselves against rampant sexual violence, and navigating life in a dangerous conflict zone dominated by an army that abuses civilians. A volunteer organizer of this morning’s meeting, Naw Regame, told us that she was once too afraid to speak out about these problems, but now has the courage to stand up for herself and her family. Participating in the community bank has allowed Regame, who is 35 years old, to support her family financially. This is a pressing need, as her husband lost one of his legs to a land mine, the destructive legacy of the ongoing conflict between the central government and local ethnic forces. Calmly and confidently, Regame related sobering information that complicated the positive headlines of recent days. She described the powerful confluence of forces that shape her life as a Karen woman at a time of conflict and change. She supports her family by selling tea that she cultivates on their small farm, even as it has become increasingly difficult to do so, as more and more families lose control of their land. Regame also explained that she won’t let her daughters walk the most direct route to their school, because she fears that they will be sexually assaulted by soldiers, as happened recently to a local school teacher. As a result, she is advocating through KWEG for a way to transport the community’s girls to school safely and quickly. When we asked about her view of the new government on its fourth day in office, Regame says she has yet to see a difference in her life. We traveled from this Karen village to Kachin State in northern Burma, not far from the Chinese border. In a town north of the regional capital, Mitynkia, we heard clear echoes of Regame’s concerns from Lu Bu Marip, a 42-year-old Kachin woman. She lives in an internally displaced persons’ camp in this region, where fellow Kachin villagers take refuge from another ethnic conflict with the central government. The fear of sexual violence haunts Lu Bu, whose eldest daughter was sexually assaulted and murdered in a location controlled by the military. Soft spoken and at times tearful, Lu Bu told us that she found both emotional support and the strength to discuss her daughter’s death through Kachin Women’s Association Thailand (KWAT), a local organization supported by AJWS. KWAT is active in the camp where she now lives with her husband, her three living children, a grandchild and her parents. She and her family live in a small but tidy one-room hut resting on stilts along an alley of identical structures. The ongoing military conflict forced Lu Bu and her family to flee her ancestral village, where they owned 10 acres of land and grew a variety of crops. Now they survive on diminishing rations from the World Food Programme and rely on income from occasional work that they manage to find outside the camp. On the day we spent with Lu Bu, her husband was working on someone else’s farm as a day laborer and therefore had to be away from his family overnight. When we asked her about the new government, Lu Bu said she hoped it would end human rights abuses and look after its people, in the same way that good parents tend to their children. 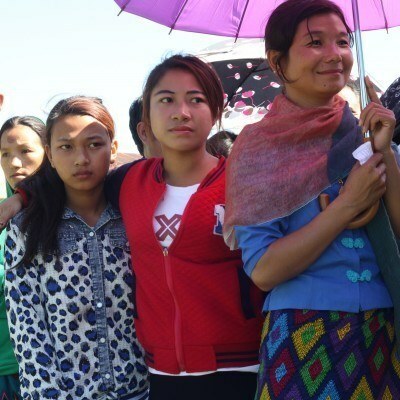 She expressed her hope for cultural autonomy for the people of Kachin and a long life for its language and culture, free from pressure from the dominant Burmese ethnic group. Fifteen miles away from Lu Bu and her family lives Ja Hkawn, a determined advocate with whom we spent two days. 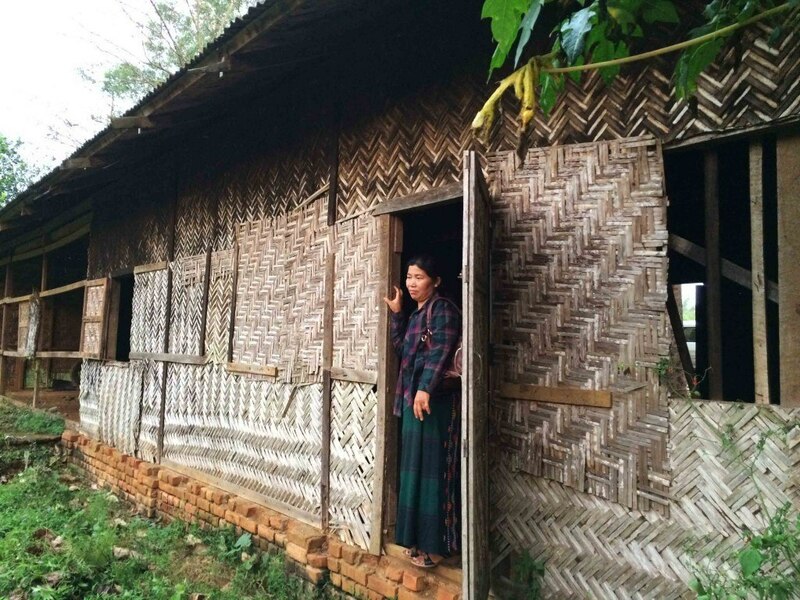 A 49-year-old divorced mother of eight, she is organizing other Kachin women to save their ancestral village from a different kind of threat—a flood that would inundate their lands. This flooding would occur if a gigantic dam is built by China Power Investment Corporation (CPI), a Chinese company that has been trying to advance this project in collaboration with the Burmese government for years. The proposed Myitsone Dam would generate electricity for China—and would also flood 47 Kachin villages. Encouraged that Suu Kyi is taking the lead in Burmese relations with China, Ja Hkawn told us that she is now somewhat more hopeful. Still, she knows from experience that the people of Burma are too often forced from the land and water that they depend on for their survival. In her village, the Chinese company has colluded with the Burmese government to intimidate Kachin families, including Ja Hkawn’s, into abandoning their ancestral lands and resettling in places where they cannot thrive; offering them temporary aid, but no real plans for a sustainable future. Ja left behind a thriving store in a busy part of her village as well as land on which she grew crops, to move to a place where farming is impossible and the prospects for commerce are much weaker. 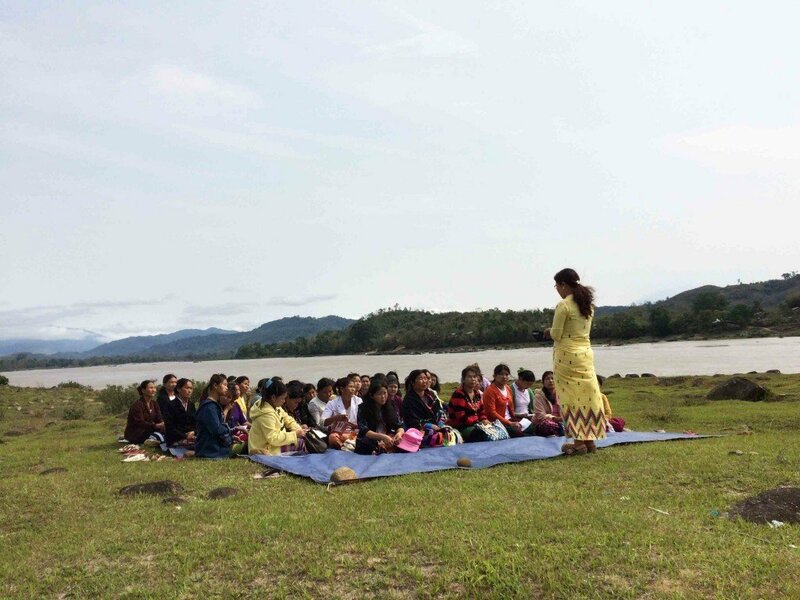 Ja is leading her community to resist the building of the dam by organizing women to speak and act through Mungchying Rawt Jat (MRJ) or “Civil Development”—a local organization supported by AJWS. Ja invited us to return to her home village to show us where she had once lived. Her former home is gone and her once-bustling store now stands abandoned. 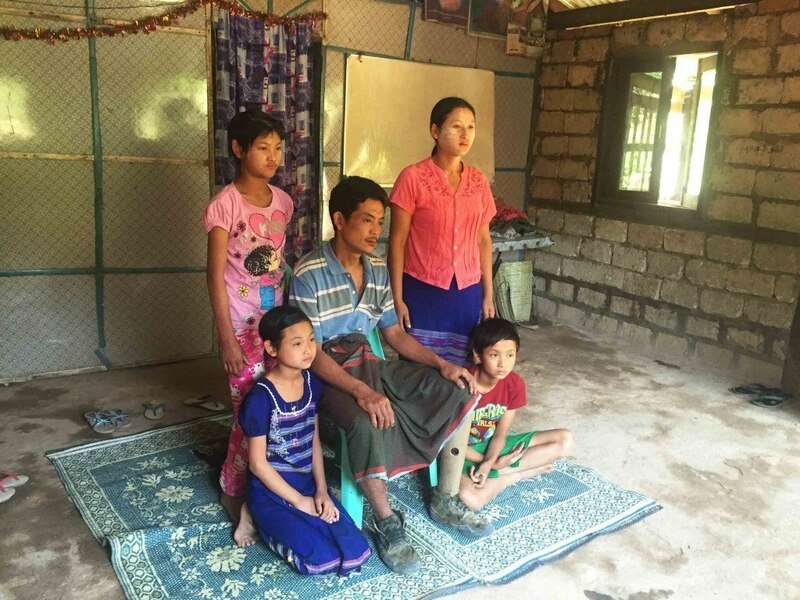 Ja’s situation was all-the-more complex because her husband had threatened to leave her and their children, and he eventually did so, just as the Chinese company and local police were pressuring her family to leave their village. The combined threat of the dam’s impending destruction and her husband’s disregard for her put Ja under tremendous pressure, to which she has responded with dignity and resolve. After the first week of the new government, Ja sees a difference. She believes that Daw Aung San Suu Kyi’s meeting with representatives of China during her first days in office sent a message that Burma’s relationship with China and Chinese companies must be reshaped in Burma’s favor. Notwithstanding this glimmer of hope, Ja Hkawn continues to organize local women, including the several dozen whom she brought from multiple Kachin villages to meet us at the riverside just below the site of the proposed dam. 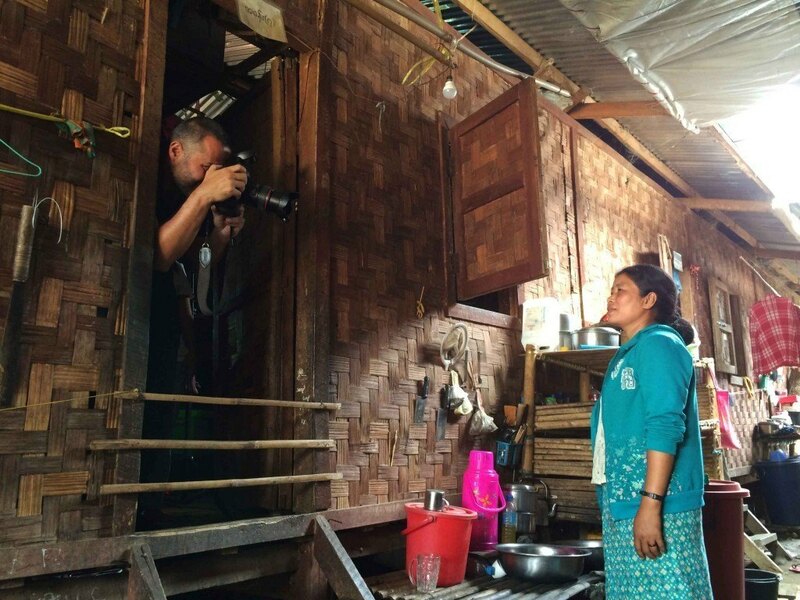 In our short time in Burma, our team gathered stories and took many photographs, which we will share with the AJWS community in the coming weeks and months. 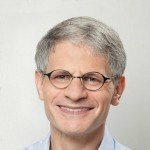 During this brief visit it became clear to us that, even as international headlines justifiably trumpet progress on a daily basis, Burma is confronting problems rooted in its recent history of military rule, the legacy of British colonialism, as well as even older ethnic, religious and social differences. While Susanna Hla Hla Soe and others work for change within a government led by Suu Kyi, the demands of women, ethnic groups and advocates for democracy and rights continue. While hope is in the air, expectations for change are tempered by longstanding challenges. 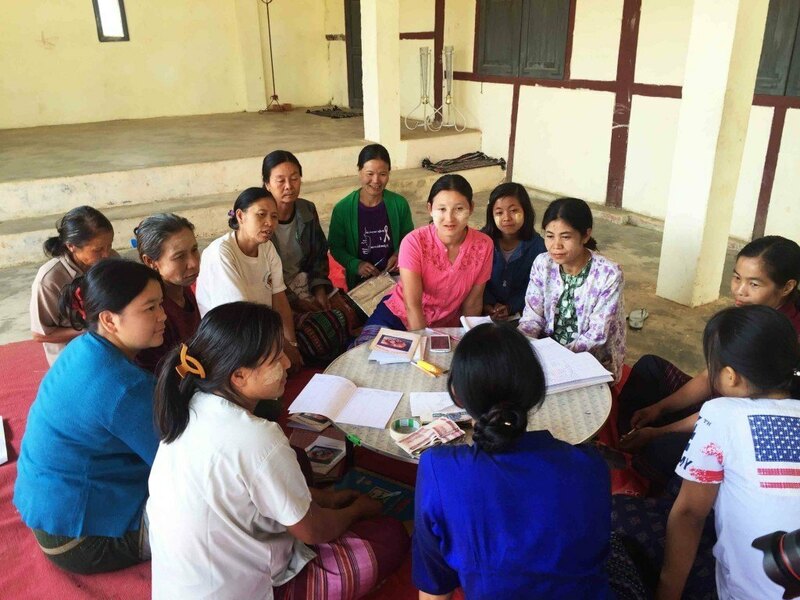 Women advocating for a new Burma are busy, and AJWS is at their side.